Want to find out how to beat the Diamond Dynasty Conquest MLB 17? Check out the video guide below and I’ll talk you through the easy way to complete the map quickly. What is Diamond Dynasty Conquest MLB 17? Diamond Dynasty Conquest in MLB 17 is a single player strategy game mode that lets you try to take over the Major League Baseball map with your own team. Is MLB17 DD Conquest Mode Worth Playing? Absolutely. You’ll be rewarded for your time invested in DD Conquest Mode. You get missions for players after clearing each division that are very much worth your time. You’ll receive these rewards for completing DD Conquest mode. Check out the full MLB 17 rewards spreadsheet made by @PandaWaffleHD. 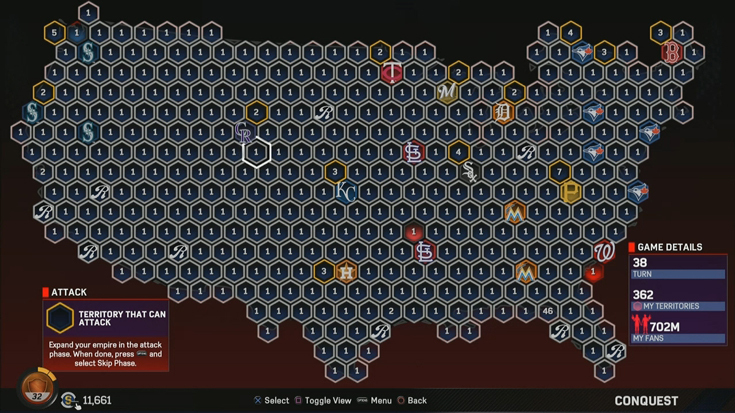 In the video, I’ll walk you through the easiest and quickest method to go about clearing your MLB The Show 17 Diamond Dynasty Conquest map. Find out how the mode works, which teams and regions to look out for, and what to work on first. If you follow the tips provided in the video, you should have no problem clearing in a few hours. Have questions about the video, Diamond Dynasty Conquest, or MLB 17? Ask in the comments below, send me a Tweet, or come ask me live in Twitch chat when I’m streaming (find my stream schedule here). 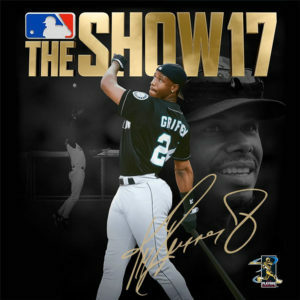 Get your copy of MLB The Show 17 on Amazon.